The PA Supreme Court set an historic precedent last month with the biggest change in insurance laws in 25 years for Pennsylvania motorcyclists. 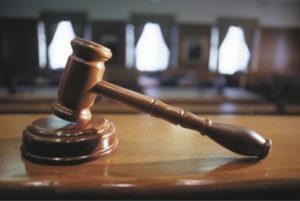 The court made a 4-2 decision to side with an injured motorcyclist over GEICO, invalidating ambiguous wording in insurance policies for the purpose of evading paying “stacked” coverage. What does that mean for PA motorcyclists? Keep reading…. What is “Stacked” Coverage and Underinsured Motorist Coverage? Drivers who opt for underinsured motorist coverage can use it to pay for medical expenses (and other damages) if they are injured in an accident caused by someone whose coverage limits are not high enough. In PA, drivers have the opportunity to “stack” these insurance policies, i.e. combine them in the event of an accident caused by an underinsured (or uninsured) driver. For example, if you have a $15,000 policy on your car and a $15,000 policy on your motorcycle, you’d be able to combine them for a total of $30,000 in the event of an accident. The downside to stacking coverage? You’ll likely have to pay a bit a more for the extra coverage…but it’s worth it! PA resident and motorcyclist Brian Gallagher was paying extra on his car and motorcycle insurance with GEICO for stacked coverage, so you can imagine his frustration when GEICO provided only one-fifth of the benefits it should have after Gallagher was seriously injured on his motorcycle in August 2012. This coverage does not apply to bodily injury while occupying or from being struck by a vehicle owned or leased by you or a relative that is not insured for underinsured motorists coverage under this policy. Not only was Gallagher paying for the stacked coverage, he had not signed a waiver turning down the option for stacked coverage. (According to PA law, insurers must combine underinsured/uninsured motor coverage as a default, unless the customer declines by signing a waiver.) So, Gallagher sued. The PA Supreme Court ruled in favor of Gallagher on January 23, 2019, citing that he should receive the coverage for which he had paid. They also note that many insurance companies who may have similarly buried clauses will have to update their policies to comply with the ruling. 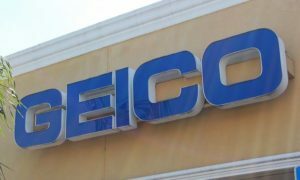 This case applies to ALL insurance companies in PA, not just GEICO. What Does This Mean For PA Motorcyclists? If you’re a biker in PA, this is a great reminder that you should have your insurance policy evaluated immediately, by Bikers Have Rights. You’ll want to make sure you not only have the appropriate amount of insurance (including underinsured/uninsured motor vehicle coverage) but also that your policy is designed in a way to give you the most coverage in the event of an accident. I constantly get phone calls from injured motorists saying “I have FULL coverage!” There is NO SUCH COVERAGE as “full coverage”…if you do not have uninsured and underinsured coverage on your policy, YOU are not covered in the event you are injured. At our law office, we spend a great deal of time looking at our clients’ insurance policies and consistently see that they are not properly insured. Because of this, I offer insurance policy evaluations at no charge for bikers in our area. If you own more than one vehicle, please call me immediately—you need “stacking”. I am a motorcycle accident lawyer AND a biker myself—consultations are always free: 877-333-0300.